Morgan Freeman and Jack Nicholson go on a green screen tour of the world. Carter (Freeman) finds himself sharing a hospital room with Edward (Nicholson), who also happens to own the hospital. Carter feels he is on the downhill slide, so makes out a “bucket list” – a list of inane things he plans to do before he kicks the bucket. Edward poo-poos the list, but somehow gets sucked into making it a joint effort. Carter knows the list is impossible to fulfill – he’s just a lowly mechanic with outlandish dreams – but Edward, being a billionaire, tells him “money is no object,” and off they go, special effects flying hither and thither. The horrible thing is: I’m starting to understand what he means! 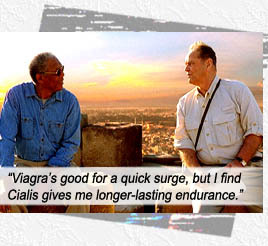 Morgan Freeman, though here in the story, also narrates. (Which gets really creepy after his character’s death!) The conclusion stacks the deck just a little too high, with Edward fulfilling Carter’s wish that he gets back in touch with his estranged daughter. And when Edward meets his daughter’s little girl, there is again just a little too much arrogant “screenwriting payoff” in the closeup of him crossing off the list, “Kiss the most beautiful girl in the world.” Movie is a reasonably enjoyable diversion, but then, it’s all predicated on the fact that Edward has enough money to not worry about being able to fulfill this list. SO… Is it about “fulfilling” the list or “aspiring to fulfill the list”? Because if it is about “aspiring” then it ain’t no bucket list at all, rather a life goal. So a “bucket list” per se must be about a list you intend to fulfill no matter the odds. So I guess my bucket list has only one wish: Befriend a billionaire. Amirite? Rob Reiner phones in the directorial job. And on the DVD commentary, the snide writer (Justin Zackman) tells us that everyone should make AND FULFILL a Bucket List – only saying so because he has absolutely nothing intelligent to say about his ludicrous movie. Starring: Morgan Freeman, Jack Nicholson, Sean Hayes, Beverly Todd, Rob Morrow, Alfonso Freeman, Rowena King, Noel Gugliemi.